Performance appraisals are used in the overwhelming majority of workplaces. Yet, most organizations that use appraisal-and a similar percentage of givers and receivers of appraisal-are dissatisfied with the process. Many are beginning to deeply question whether appraisal is necessary and consistent with the work culture espoused by progressive organizations. 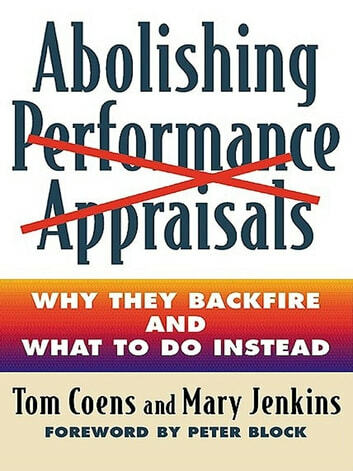 Abolishing Performance Appraisals provides an insightful, well documented look at the flaws of appraisal-including its destructive, unintended effects-and offers practical guidance to organizations that want to move on to more progressive approaches to coaching, feedback, development, and compensation. 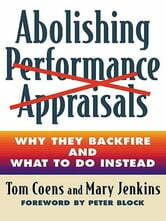 While many books prescribe cures for appraisal, this is the first to focus exclusively on eliminating appraisal altogether and creating alternative, non-appraisal approaches based upon progressive and healthier assumptions about people. The authors expose and dispel the widely accepted myths and false assumptions that underlie common management strategies surrounding the five key functions of appraisal-coaching, feedback, development, compensation, and legal documentation. They then offer step-by-step practical guidance on implementing alternative non-appraisal strategies that deliver the objectives of each function. And they suggest ways to give supervisors and managers the freedom to choose for themselves the most effective ways of working with people. Filled with real-life examples, resources, tools, and detailed practical advice, Abolishing Performance Appraisals is an entirely fresh and radically different view of performance appraisal and its functions that will help people start over and discover new and more effective approaches.